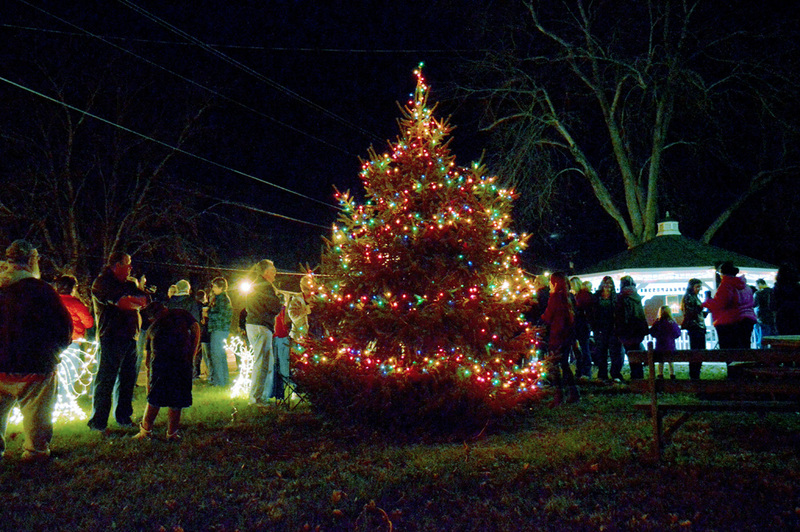 The Town of Dagsboro lights up its Christmas tree back in 2015. Dagsboro recently announced its full holiday schedule for 2018. The 2018 Dagsboro Christmas Tree Lighting will take place on Saturday, Nov. 24, at 7 p.m. at Katie Helm Park. The celebration will feature music from local students, along with refreshments, including hot chocolate and cookies. There will even be a visit from the big guy himself: Santa Claus. Then, on Tuesday, Dec. 11, the annual Christmas parade will be held beginning at 7 p.m. Entry forms can be found on the Town’s website (dagsboro.delaware.gov) or by visiting town hall. The parade will begin on Main Street, near the back entrance to Indian River High School, and then continue through town before taking a left on Clayton Street and ending at the new Dagsboro fire hall. There will also be a Santa in the Park event this year for all children on the “Nice List” who want to visit the jolly man, and disclose their wish lists to him. Santa will park his sleigh at Katie Helm Park on Tuesdays and Thursdays in December from 4:30 to 6:30 p.m. — Dec. 4, 6, 13, 18 and 20. For more on the upcoming Christmas events, log on to the Town’s website. • There will be a town-wide fire hydrant flushing taking place Nov. 27-28. If weather should prohibit flushing during those times, the Town will extend the dates to Nov. 29 and 30. Should water customers experience discolored water or have sediment in their water at any time during those dates, they are being advised to run all faucets until the water runs clear. They should also avoid doing laundry during this time. • The next monthly town council meeting will take place on Monday, Nov. 19, at 6 p.m. at the Bethel Center, located at 28307 Clayton Street. The agenda for the meeting had yet to be released as of Coastal Point press time but will be found on the Town’s website as well.